It’s been way too long since I last posted, so let’s catch up! For the past several months (since December 1st), Mike and I have been camp hosts at San Mateo Campground near San Clemente, California. 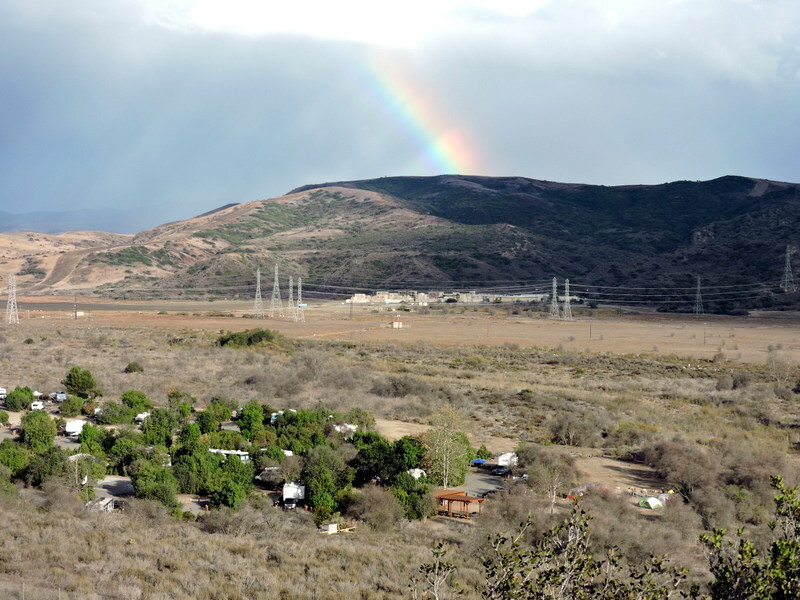 San Mateo Campground is part of San Onofre State Beach but it’s about 1-1/2 miles inland, nestled in the pretty rolling hills right next to Marine Corps Base Camp Pendleton. We’re often able to watch military training conducted right next to the campground, specially at the MOUT site (a recreation of an Iraqi village used for training). Each time we camp host is a little different from the last and that’s true this time as well. Mike is working as a Maintenance Host here at San Mateo Campground, which means he helps keep the campground clean and repaired so the campers can enjoy it. 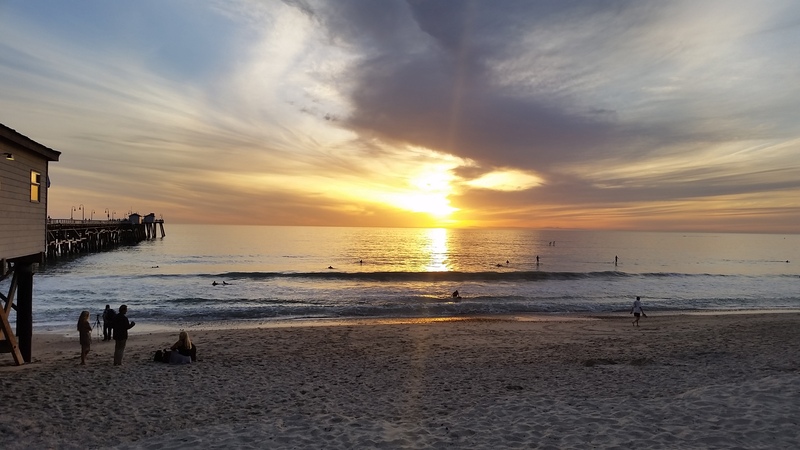 While we love the natural beauty of San Mateo Campground and its surroundings, the beach town of San Clemente is just a ten minute drive away. One of our favorite spots to visit is San Clemente Pier, especially at sunset when the surfers are catching that one last wave. 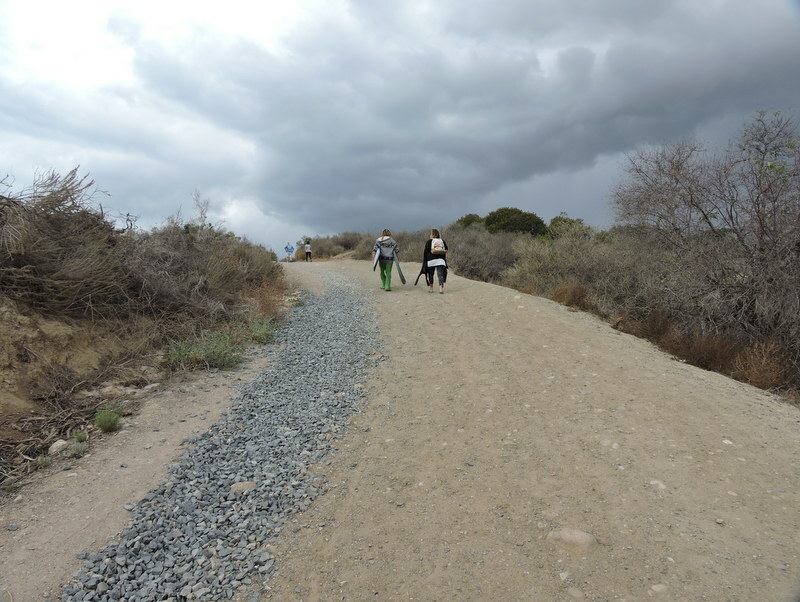 But our favorite activity at San Mateo Campground is hiking the trail to Trestles Beach, a world-renowned surfing beach. 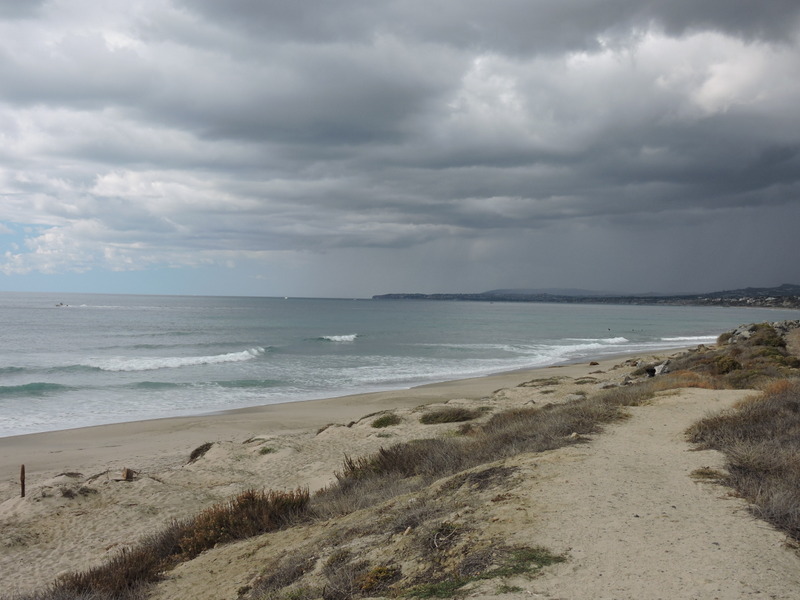 You have to REALLY want to surf at Trestles Beach because there’s no parking at the beach – everybody has to hike or bike in and out while carrying their surfboards. 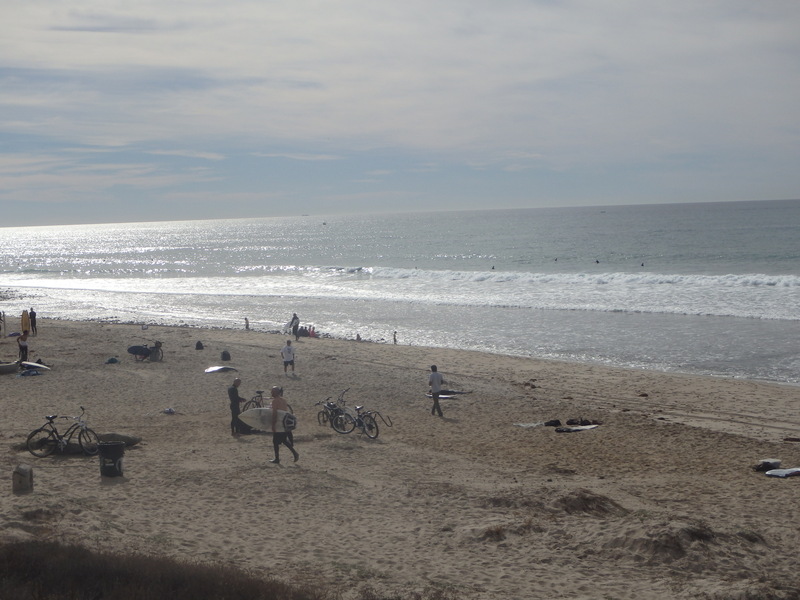 There are usually plenty of surfers at Trestles Beach, though, so it must be worth the effort. Mike and I don’t surf but the beautiful views of the ocean, Catalina Island in the distance on a rare clear day and the bay towards San Clemente are more than worth the hike. 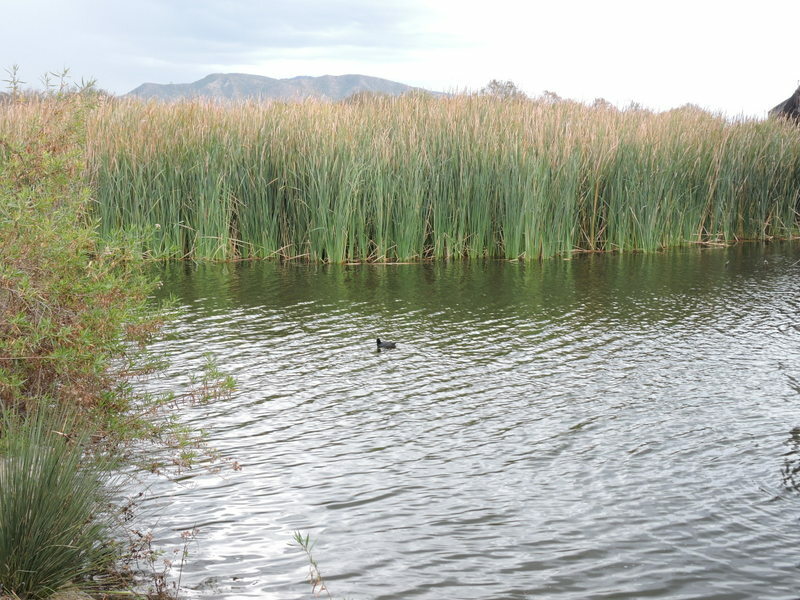 Best of all, San Mateo Creek flows just east of the campground to Trestles Beach. 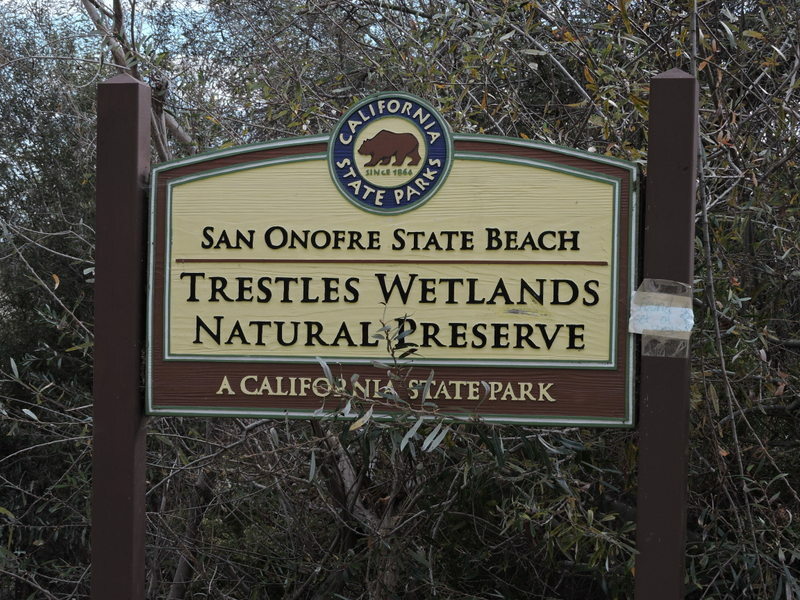 A short walk from the beach are riparian and wetland habitats known as Trestles Wetlands Natural Preserve. It’s hard to believe this peaceful area is so close to the I-5 and the commuter train that gives Trestles Beach its name! 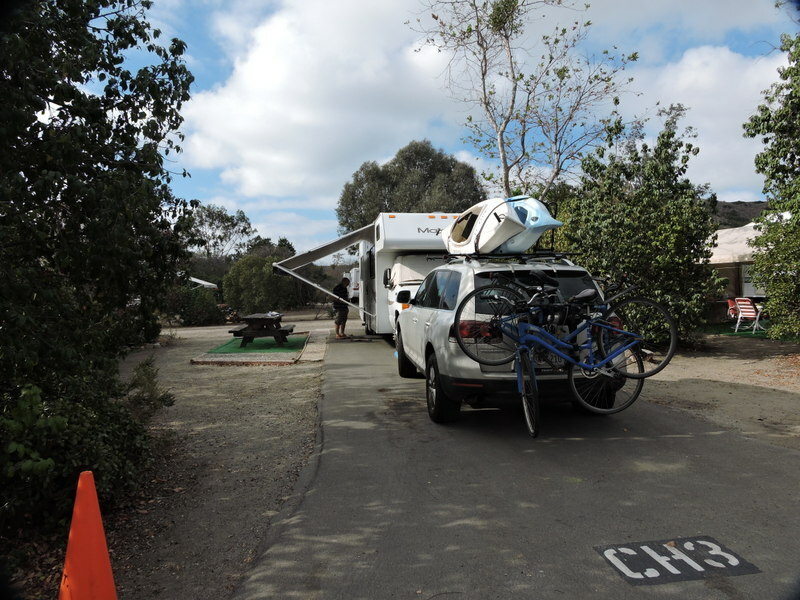 This entry was posted in San Clemente CA, San Mateo Campground on March 4, 2016 by admin.